Hate packing and unpacking? Got a lot of time to explore Europe? Like the great outdoors and meeting people? Perhaps a motorhome vacation is right for you. Here are some considerations and resources for planning a motorhome vacation in Europe. 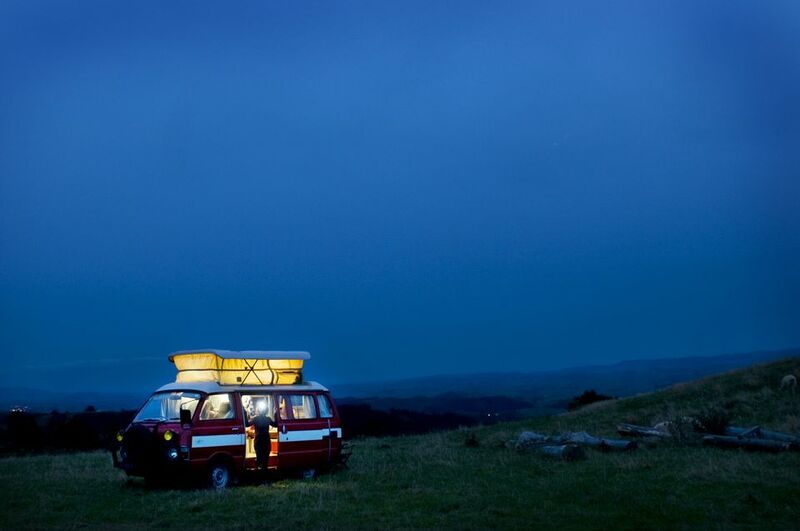 Every country in Europe has camping spaces available for motorhomes. Most tolerate free-camping in a discreet spot. Major highways are built to carry large vehicles, so it's not as hard to get around as you might think. Norway, for example, has a special website all set up for folks looking for scenic drives called national tourist routes. In some ways, countries like Norway offer the best option for motorhome tourism, since distances between lodging options are long, traditional lodging is expensive, there is an abundance of natural beauty, and there are many opportunities to "free camp." Even with all the information on the Internet, you'll want to carry along a decent guide that explains the differing traffic rules throughout Europe as well as mapping recommended campgrounds with facilities for RVs or motorhomes. Here are some criteria: you don't mind driving big vehicles, you have a lot of time to spend in Europe, you don't need big cities and art museums to amuse you, and you like people. While you could rent a motorhome for a short vacation, say a week, it's best to have it for a longer time, and you can usually get a cheaper daily rate that way. There are three ways to procure a motorhome in Europe. You can rent, you can lease, or you can buy one with a contract to sell it after you've used it. Rental is the only real option for short stays. IdeaMerge recommends starting your rental in Germany: "even if the bulk of your itinerary lies outside Germany." RVs are less expensive there, and the insurance allows you to drive pretty much everywhere in western Europe. Why take a tour when you're footloose and fancy-free in your RV? Well, have you thought about making all sorts of ferry reservations, finding transportation into the big cities, and all the other little things that you might not want to have to do in a country where you don't speak the language? A motorhome tour might be just the thing, especially at the start of your European adventure or if you've never been to Europe before. There is a lot to learn about camping in Europe, with many rules specific to camping with a motorhome or camper. Be sure to research the best campgrounds in the countries you are planning to visit, as well as where to find services for your motorhome.